Press images of 2018 Birthday Bourbon can be found here. Louisville, Kentucky. 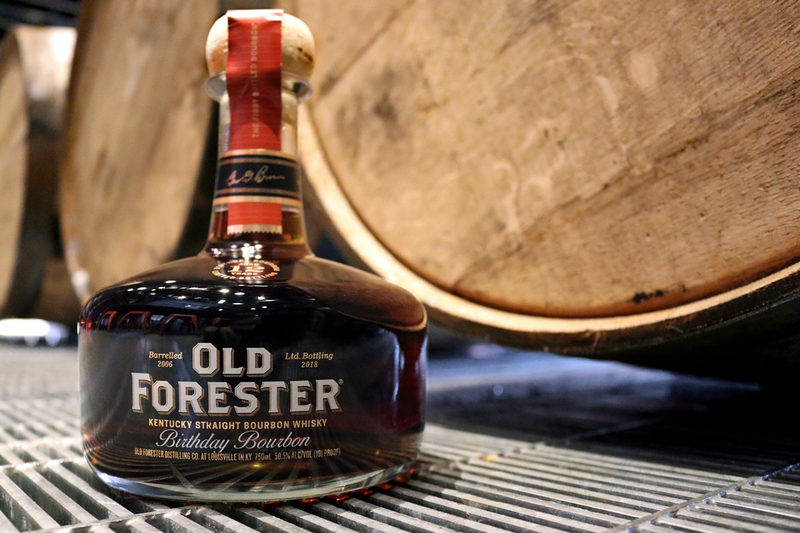 (August 6, 2018) – Old Forester, America’s First Bottled BourbonTM, will introduce its eighteenth Birthday Bourbon, the annual limited release created to mark the birthday of founder George Garvin Brown on September 2. The 2018 Birthday Bourbon is the first iteration to be bottled at the new Old Forester Distilling Co., located in Louisville’s historic Whiskey Row – in the same space that Old Forester called home before Prohibition. Selected from a single day of production and handcrafted by Master Distiller Chris Morris and Master Taster Jackie Zykan, this small batch bourbon offers a one-of-a-kind character and flavor profile that will never be replicated. A total of 120 barrels, distilled on June 9, 2006, were marked for this year’s Birthday Bourbon release. They were drawn from two locations: 93 barrels matured together on the 3rd floor on the northwest side of Warehouse J; the remaining 27 barrels matured together on the 3rd floor, northwest side of Warehouse I. The angels opted for a hearty share of 2018 Birthday Bourbon – the total yield was just 39 percent and five barrels were found to be totally empty.